The Western trend can feel like a natural fit for some of us but for others, it can feel downright costumey. Regardless, designers committed to the look in a big way for Fall 2018, so might as well join in, right? The surprisingly versatile way to do exactly that is with a pair of cowboy boots, styled your way. Embracing this fall footwear must-have (yep, we said it) doesn’t mean suiting up in double denim with suede fringe and a 10-gallon hat (though if that’s your thing, of course, go for it). There are more than a few ways to incorporate cowboy boots into your look that feel fresh, modern and fashion forward. Exhibit A: The street style crowd. 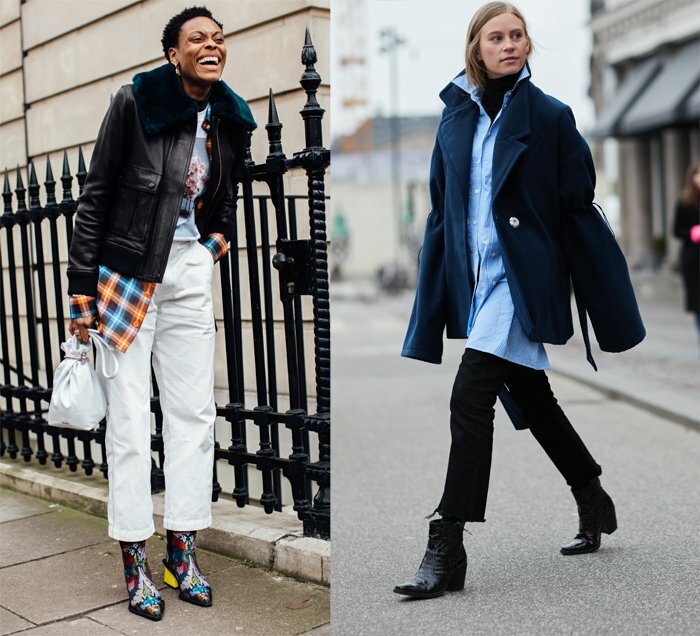 It girls and industry insiders have been stepping out in updated versions of the classic, rocking them with a distinctly fashion bent — and inspiring the rest of us to do the same. Arguably the most popular way to do cowboy boots is with a flowy dress. The stiff structure of these boots just lends itself to being paired with a prairie-esque frock or silky printed midi dress. Another option? Go ultra sleek with a structured coat or tailored blazer and polished handbag, just be sure to keep the color palette mostly neutral for extra cool points. If you’re more of a bold type, go ahead and mash up your vibes: opt for cowboy boots in vibrant hues, then add on everything from colored faux fur accents to a graphic tee to bright plaid. The idea is to swap out your classic ankle boots for a rodeo-ready pair — and watch your look instantly update. Ready to try the trend? Shop some affordable (and chic!) cowboy boots for women. Giddyup.